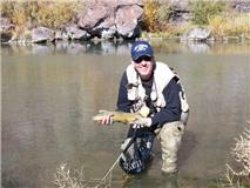 When fishing streams or rivers the beginning fly fisherman needs to understand the basic needs for fish to survive. 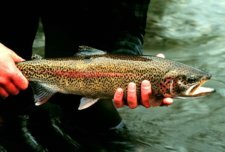 There are 3 things that trout need regardless if it is a stream, river or a lake, and they are food, shelter and oxygen. That is all pretty obvious stuff since it is the same thing that we all need but this one of the basic river fishing techniques - think like a fish. When it comes to food there are a few ways fish get their food. Fish feed on the insect population in the water so here are things to look for. 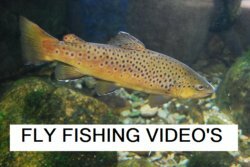 Here is where to look when river fishing for trout. The first way is by feeding near the banks of the stream where insects could fall into the water from a tree, bush or weeds. This is one of their favorite places to feed especially when it is grasshopper season and they fall to the water and cannot get out. Look for heads rising near the banks and cast to them. If there aren’t any rising fish you should still cast towards the bank in the areas described above. Another way that they get food is from the vegetation and rocks that are below the surface. Since the sun will penetrate a short distance below the water surface, the shallow areas of a stream may have vegetation. Bugs live here and they complete part of their life cycle below the water. Some bugs cling to the rocks until they head for the water surface and break out their wings. 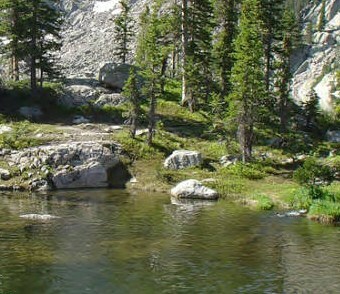 Shallow areas, with rocks like “riffles” are a good place to fish with nymphs. If you look at a stream you will see the natural channels and flow that develop on the river. Because of the bends, obstructions in the water, and varied depth of the river it naturally will develop a channel or what I like to call a feeding lane. The bugs beneath and above the water will funnel into a tight range, and fishing this lane can be very successful. You can identify this lane by the foam on top of the water that appears to be in a long continuous line. You can cast just above the foam line and let your fly drift naturally through this foam. If you are nymph fishing be sure to cast a little further past the lane since your fly will sink and come up short of the lane if you don’t. If the current is fast be sure to fish the “seams”, the area between the fastest and slow water, since fish don’t hold in a fast current for too long. The fish must always protect themselves from other predators besides us fisherman. They have to watch out for birds and other animals that feed along the banks. Fish will look to deep water, logs, and brush and undercut banks to reduce the chance of being seen. They will also hold out in fast choppy water like riffles to keep from being seen. These are all good spots to cast a fly. Fish are somewhat lazy. They don’t want to swim any harder than necessary to collect their oxygen or food. Currents provide both oxygen and food that fish need so they will typically dart in and out of the faster water to receive oxygen. The seams near the fast water is a good place to cast since fish will hold there and dart in and out of the current for food and oxygen. 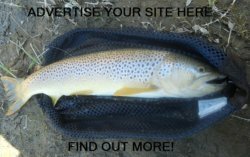 Whenever you fly fish always keep food, cover, and current in mind and you will have a good idea where the fish will be. As you survey the river you will begin to see how these factors relate to the overall river. For example a great place to fish is where the riffle flows into a pool, or to put it another way, where the fast water dumps into the slow water. The fast water carries the oxygen and the food to the fish and they can hold out in the slow water and wait for their meal to come to them. 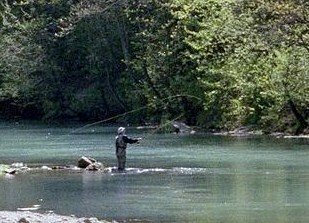 Always be sure to cast into the riffle and let the fly drift naturally through the pool until your line gets as far down stream as it will go and starts drifting towards the bank. Then roll cast or flip cast to repeat. Keep an eye out for on-going hatches, if you see a lot of bugs hovering over a stretch of water the fish will be there too. They always seem to know where the food is throughout the day. See if you can figure out what they are eating, tie it on, and cast upstream of that area and let it drift through this area. The water can be fast or slow where these hatches occur, just keep looking at the water surface to see what is happening. Behind rocks and logs or anything else in the water is another great spot. Since the water is not moving at all behind the obstruction, and the current moves faster around the obstruction you will want to try and cast so your fly drifts by as close to obstruction as possible. This will put it in the faster water and the fish will dart out of the seam to get it if it is what it wants.